Religious food laws, such as Hindu, Islamic and Jewish dietary laws, can also exercise a strong influence on cuisine. Regional food preparation traditions, customs and ingredients often combine to create dishes unique to a particular region. 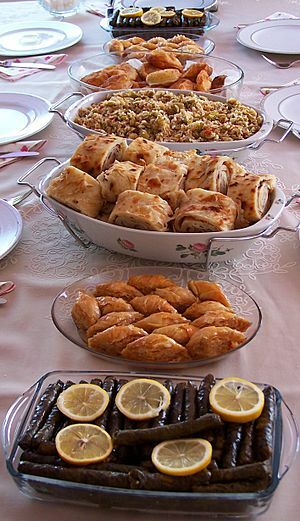 Some factors that have an influence on a region's cuisine include the area's climate, the trade among different countries, religiousness laws and culinary culture exchange. For example, a Tropical diet may be based more on fruits and vegetables, while a polar diet might rely more on meat and fish. 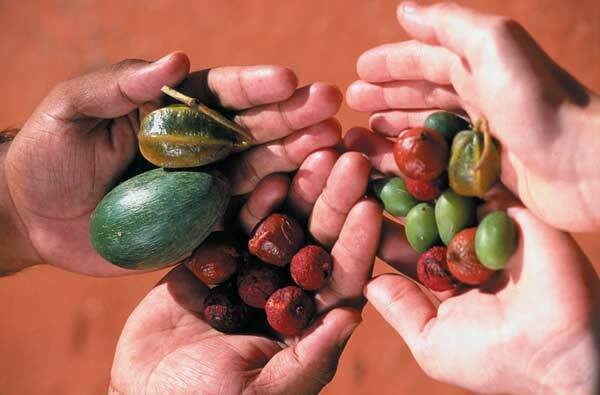 The area's climate, in large measure, determines the native foods that are available. In addition, climate influences food preservation. For example, foods preserved for winter consumption by smoking, curing, and pickling have remained significant in world cuisines. The trade among different countries also largely affects a region's cuisine. Dating back to the ancient spice trade, seasonings such as cinnamon, cassia, cardamom, ginger, and turmeric were important items in the earliest evolution of trade. 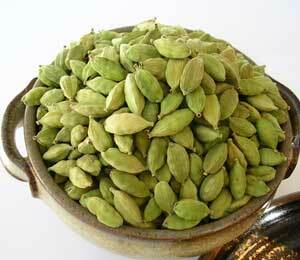 Cinnamon and cassia found their way to the Middle East at least 4,000 years ago. Cuisine dates back to the Antiquity. As food began to require more planning, there was an emergence of meals that situated around culture. Rome was known for its cuisine, wealthy families would dine in the Triclinium on a variety of dishes; their diet consisted of eggs, cheese, bread, meat and honey. Cuisines evolve continually, and new cuisines are created by innovation and cultural interaction. One recent example is fusion cuisine, which combines elements of various culinary traditions while not being categorized per any one cuisine style, and generally refers to the innovations in many contemporary restaurant cuisines since the 1970s. 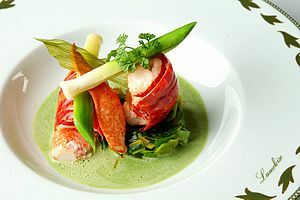 Nouvelle cuisine (New cuisine) is an approach to cooking and food presentation in French cuisine that was popularized in the 1960s, it is a modern style of cooking which takes advantage of many technical innovations from the scientific disciplines (molecular cooking). International trade brings new foodstuffs including ingredients to existing cuisines and leads to changes. The introduction of hot pepper to China from South America around the end of the 17th century, greatly influencing Sichuan cuisine, which combines the original taste with the taste of introduced hot pepper and creates a unique flavor of both spicy and pungent. Regional cuisines may vary based upon food availability and trade, cooking traditions and practices, and cultural differences. 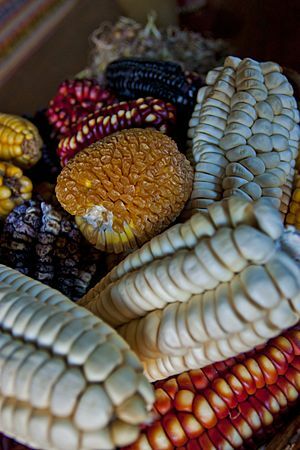 For example, in Central and South America, corn (maize), both fresh and dried, is a staple food. In northern Europe, wheat, rye, and fats of animal origin predominate, while in southern Europe olive oil is and rice is more prevalent. In Italy the cuisine of the north, featuring butter and rice, stands in contrast to that of the south, with its wheat pasta and olive oil. China likewise can be divided into rice regions and noodle & bread regions. Throughout the Middle East and Mediterranean there is a common thread marking the use of lamb, olive oil, lemons, peppers, and rice. The vegetarianism practiced in much of India has made pulses (crops harvested solely for the dry seed) such as chickpeas and lentils as significant as wheat or rice. From India to Indonesia the use of spices is characteristic; coconuts and seafood are used throughout the region both as foodstuffs and as seasonings. Québécois poutine is made with french fries, curds and gravy. Cuisine Facts for Kids. Kiddle Encyclopedia.